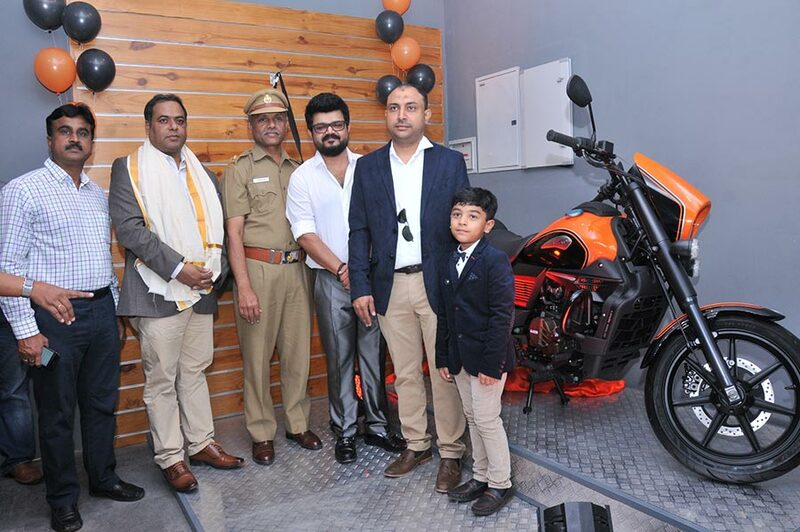 UM Motorcycles — the Indian arm of the American motorcycle maker UM International, LLC — along with Lohia Auto has opened its dealership in Cochin, the first dealership in the state of Kerala and thirteen in the country. The dealership, UM Cochin is located in 36/2446B, Brahmasthanam, N.H-17, Edappally North. Spread over an area of approx. 2200sq.ft, the dealership facility has a showroom integrated with an after-sales service facility to ensure that the customers receive best-in-class pre- and post-sales ownership experience. Also, recently launched 24*7 Roadside Assistance Programme is available across the state. We are delighted to open our first dealership in the state of Kerala. South India contributes to a major share of the Indian two-wheeler market in the country. Hence, this is the first of numerous dealerships we plan to open in this region. The opening of this dealership is in line with our road map to have of a pan India presence by the end of 2017.We are confident that we shall get a good response from motorcycle enthusiasts in Cochin and surrounding areas. Our unique form of motorcycling is centered around the idea of a perfect connect between the rider, his bike and the terrain he rides through. We call this Pure Motorcycling. We have been working very hard to create motorcycles that engage deeply and are a pleasure to ride in real world riding conditions and speed. With a perfect combination of aesthetics, dynamism and perfect road handling, our UM products provide a truly unmatched biking experience. This dealership will house our flagship products like Renegade Commando and Renegade Sports S.
In order to serve our clientele with enthusiasm and passion we are proud to launch our first UM Motorcycles showroom and workshop facility in Kerala. As UM Motorcycles dealers in Cochin, we commit ourselves to delivering the UM experience to all UM lovers. The level of interest in the UM brand in Cochin has been very positive. Our investment in this new facility has already been rewarded by orders and deliveries which we have received prior to this opening.